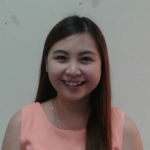 Totally new to Labuan Midshore Company? Here is the formation of a Labuan company and the tax guide for your understanding. The Labuan Company formation is straightforward and it is done within 5-7 days upon receiving complete documents from you! There are two main types of Labuan Company structure of either Trading or Non- Trading which differs based on the tax liability and flexibility. All Labuan Companies can transact in foreign currencies and in Malaysia Ringgit. Labuan Trading Company defined the trading activity that includes import, export, trading, consultancy, management, shipping, financial services, banking, insurance or any other business activity other than non-trading activity. Under the Labuan Business Activity Tax Act 1990, Labuan Trading Company only has to pay 3% tax on net profit. All Labuan Trading Companies’ accounts needed to be audited. 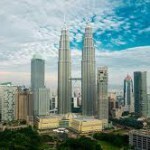 You may also make an irrevocable election to be taxed under the onshore Malaysia Income Tax Act 1967 if you deal with Malaysian companies or residents. The corporate tax rate will be 24% on net profit. All billings have to be in foreign currencies, except Ringgit and yearly audit has to be done for the accounts. Complete Info on Tax for Labuan Company and Individual, click here! A Labuan Non-Trading Company is a structure relating to nontrading activities as holding of investments in securities, bonds, stock, shares, loans, deposits or any other properties. No tax and no yearly audit, except management account, will be required for annual tax compliance. 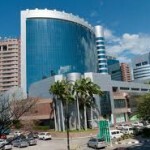 Real estate investment in Malaysia hold by a Labuan Company is considered as non-trading activity. However, if there is rental income receivable, the company will be subjected to onshore Malaysia Income Tax of 24% with the audited report is required. 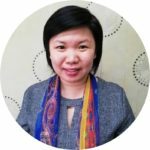 Malaysia Property Investment- What Advantages Using Labuan Company? 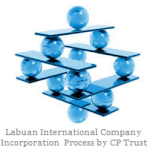 All Labuan Companies shares are issued at par value of your choice with a direct allotment. These shares are issued to the shareholders can be an individual, a corporation or holding the shares by your appointed nominee or by a trust. The shares can be of different classes with different rights but non-bearer shares are allowed. All shares have to be in denominated in any foreign currency except Malaysian Ringgit. <USD 12,000 (RM50,000)Are you one of the High Risk Jurisdiction Nationality? 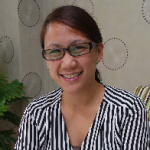 Most clients will opt for first tier of USD 12,000 for their formation of their Labuan at the initial stage. There will be additional registration fee payable to Labuan FSA will be required for higher tier. At any one time, you can change to higher tier after your Labuan Company is formed. List of Documents Required to Form a Labuan Company!Tailor Your Needs on Registration of Your Labuan Company Today! Power of AttorneyView complete Support and Services for Labuan Company, click here! Should you require special service do let us know to specially tailor one for you. We simply “simplify the complexities” your Labuan Company formation to meet your business objectives! Feel free to contact us at contact@labuanbusiness.com or call +603 2783 9191. How Many Bank Account You Need for Your Company and Type of Currencies? Do You Need Internet Banking Set Up? Do You Require 2 Years' Work Permit for Your Working Directors? How Many Positions Required Work Permit? Any special request service and remarks, please specify here! Get the Right Advise from Us for Off-Shore and On-Shore Businesses within Malaysia! We are ready to advise you for your business expansion! Copyright © 2018 www.LabuanBusiness.com www.LabuanBusinessTax.com www.LabuanCN.com www.LabuanWealth.com All Rights Reserved. CP TRUST CO LTD (LL10467) Trust License No LT0061 by Labuan Financial Services Authority. Conveniently Serving You from two Locations: Kuala Lumpur and Labuan. Whilst every effort has been made to ensure that details contained herein are correct and up-to-date, it does not constitute legal or other professional advice. We do not accept any responsibility, legal or otherwise, for any error or omission. We adhere to Data Protection Act Malaysia.